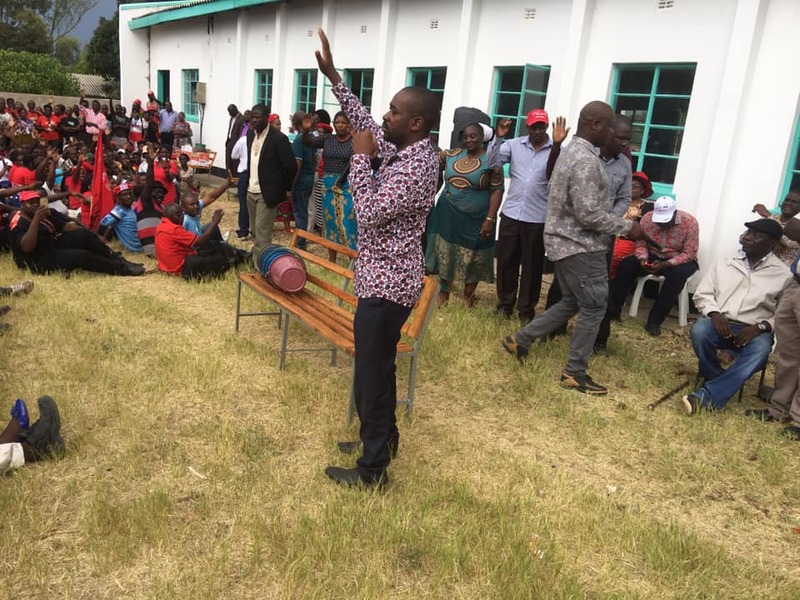 MDC Alliance president Mr Nelson Chamisa has allegedly threatened to bar Bulawayo province from the party’s congress next month over alleged indiscipline, prompting some members to accuse him of dictatorship. Mr Chamisa who reportedly sneaked into Bulawayo on Monday for a crisis meeting with members of the provincial executive vowed that the province will not be represented at the congress if they don’t put their house in order. He allegedly told the provincial leaders that approaching the courts would not yield anything as his decision would be final. In the meeting, sources said, Mr Chamisa demanded that his deputy and ally Professor Welshman Ncube, who is facing resistance from the province, be accorded respect. Party insiders said the MDC leader launched into a tirade over the party’s loss to Zanu-PF at the recent Cowdray Park Ward 28 by-election saying the electoral loss was tantamount to treason. Mr Chamisa is said to have taken Mr Collet Ndlovu to task for contesting the poll. “He said Bulawayo is ill-disciplined and was the most violent province in the country. He claimed that reports he received from party officials show that party members in Bulawayo were unprincipled and lacked truth. He warned that the province risks not participating in the May 24-26 congress if it does not resolve all the culture of violence,” said the party insider. “He even declared that the party’s national leaders will impose leaders for Bulawayo if the province is not careful, emphasising that taking the party to court would not change what they will have decided. Also I think his sentiments on Prof Ncube were influenced by the fact that the Prof is backing him for the presidency,” said the source. MDC Alliance deputy spokesperson Mr Edwin Ndlovu confirmed the meeting but downplayed that the MDC Alliance leader threatened to ban Bulawayo province from the congress. “Each province has a timeline to hold its provincial congress. Bulawayo missed its timeline. We were supposed to hold our provincial congress today (yesterday) but we still have not completed five ward elections, meaning we cannot do districts before the wards. “So the point he was making is that no matter the province, if it fails to set up its structures it will not be allowed to attend the party’s congress which will be held in Gweru in May. So we have up to Saturday to complete setting up our structures and making nominations,” he said. Mr Ndlovu also refuted claims that Mr Chamisa declared Bulawayo the party’s most violent province. Meanwhile, the MDC Alliance has been slammed for denigrating, stigmatising and discriminating people living with HIV and Aids during campaigns for positions. A Bulawayo based non-governmental organisation which advocates for rights of people with HIV, Bulawayo Association of People Living with HIV/AIDS (BAPLA) yesterday raised alarm over derogatory language used against people purported to be living with HIV and Aids in the MDC Alliance. “The BAPLA condemns in strongest terms the use of HIV status as stigmatisation and de-campaigning strategy by some aspiring leaders of the Movement for Democratic Change (MDC),” said the organisation.